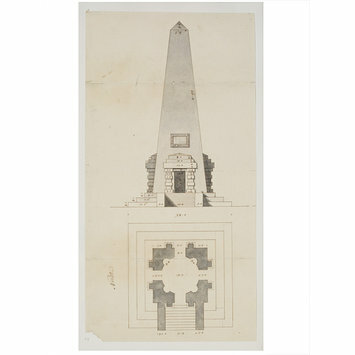 Elevation and plan for an obelisk, perhaps associated with Stillorgan House. Inscribed in ink and with measurements. 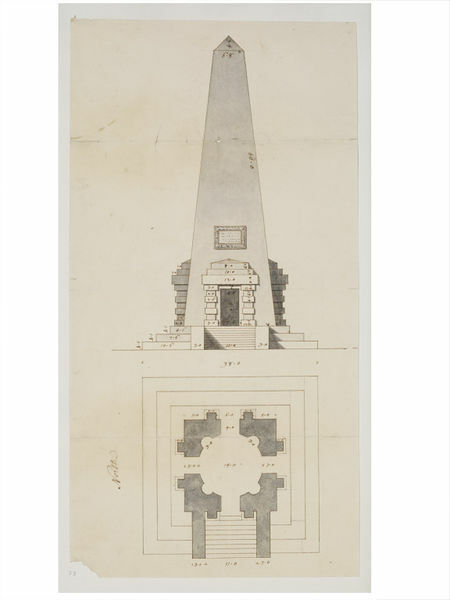 Elevation and plan for an obelisk, perhaps associated with Stillorgan House in the Vanbrugh Album, circle of Sir Edward Lovett Pearce (ca.1695-1733). Lorimer, C. and Newton, C. (ed. ), The collection of drawings by Sir John Vanbrugh and his circle in the Victoria and Albert Museum, London: V & A, 1996, p. 24, cat. 46. Attribution note: See Colvin and Craig p.4 for a possible association with Stillorgan House.